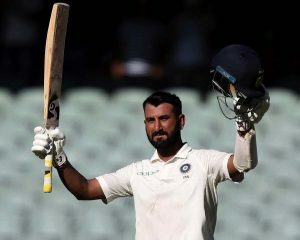 Adelaide, Dec. 6 (IANS): Rating his knock of 123 as one of his top five innings, Indian batting star Cheteshwar Pujara on Thursday admitted that the top order should have batted better in the first innings of the opening Test against Australia at the Adelaide Oval here. Pujara fought his way to a gritty century even as Team India’s familiar batting woes on foreign soil left them struggling at 250/9 at stumps on the opening day of the first Test. “To be honest, we should have batted better but they also bowled well in the first two sessions and I knew that I had to stay patient and wait for the loose balls,” Pujara said. “The way they bowled, they bowled in the right areas. 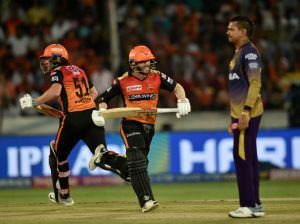 I also felt that our top order should have batted better, but they will learn from the mistakes and put up a better show in the second innings. “It is one of my top innings in Test cricket, I could say top five,” Pujara said. “It was tough but I was set and I knew I could play my shots, especially when we lost the seventh wicket,” Pujara said.